Don't let Obama's media change the subject! It goes without saying that the mainstream media is an enemy of the American people. To fulfill its mission to reelect Obama, the MSM is willing to sacrifice national security, the economy and the best interest of our nation. Obama continues to lie about our ambassador's murder in Libya. The Obama administration's "fast and furious" gun scandal along with a plethora of Obama failures in leadership continue to go under-reported. The MSM completely ignores vital major news stories to focus on "gotcha," lets make Romney look bad, trivia. 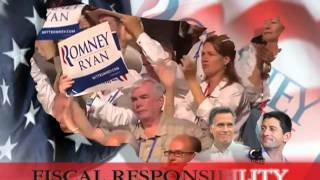 A major network led its evening news TV broadcast asking, What must Romney do to turn his campaign around? Numerous U.S. embassies and consulates around the world have recently come under attack. Meanwhile, the MSM stays focused on destroying Romney. Patriots, we MUST do the work the mainstream Obama media refuses to do. The Campaign to Defeat Obama has released a new TV ad titled, "Barack Obama's Legacy of Failure." https://secure.donationsafe.com/clof Folks, please assist us in making it go viral! 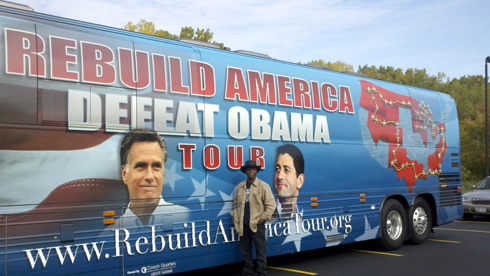 Our team is boots on the ground on a 72 city Rebuild America — Defeat Obama national bus tour. In Michigan, someone attacked our bus today with a full can of beer. The coward swiftly disappeared. Our rallies thus far on this tour confirm that passions run high on both sides of the aisle. But, unlike the Obama OWS minions, I am proud to report that no one on our side has displayed violence or vandalism. And yet, Obama's mainstream media continues to portray the Tea Party as racist and equal to OWS. They shamelessly lie folks.